A beautiful new addition to our collection of white antique French style and shabby chic furniture comes this delightful Etienne white chest of drawers. Finished in a beautiful white with 3 ornate details drawers, each with metal handles is sure to impress in any setting. 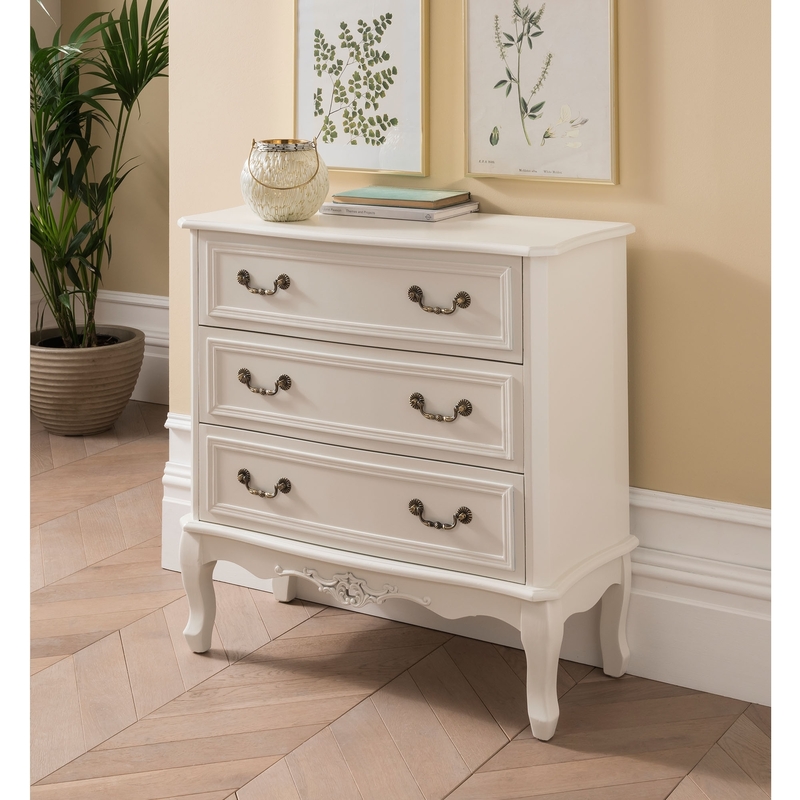 Ideal working alongside any bedroom decor, this stunning chest of drawers will work wonders and last generations.